Mr. Ricardo J.A. Pitts-Wiley is a partner at The Federal Practice Group and has over 10 years of experience in the areas of federal sector employment and labor law. Mr. Pitts-Wiley provides representation to federal employees in a wide range of employment and labor matters, including discrimination, harassment, reasonable accommodation, family and medical leave, performance-based actions, conduct-based actions, ethics, security clearance, collective bargaining agreement violations, debt collection, whistleblower retaliation, inspector general investigations, Freedom of Information Act, Privacy Act, disability retirement, retirement annuity calculations, and unemployment insurance appeals. He has significant experience representing clients at various stages of the administrative process, as well as during settlement negotiations and mediations. Mr. Pitts-Wiley has practiced numerous times before the U.S. Equal Employment Opportunity Commission, the U.S. Merit Systems Protection Board, the U.S. Office of Special Counsel, as well as before Federal and District of Columbia courts. Prior to joining the Federal Practice Group, Mr. Pitts-Wiley worked for three Washington, D.C. law firms, with a focus on employment law. He also served as General Counsel for a Rhode Island-based nonprofit organization, where he managed a myriad of issues ranging from corporate tax and securities to copyright and trademark, to performance art contracts. Previously, he worked as an Associate and Senior Associate in the labor and employment law department of a New York-based law firm. 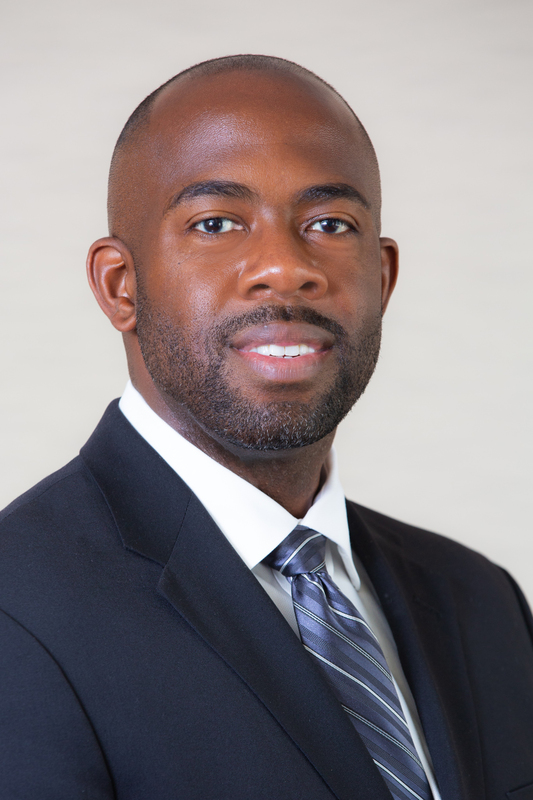 At the outset of his professional career, Mr. Pitts-Wiley ascended from paralegal to law clerk, and to law associate with a boutique D.C.-based law firm specializing in federal employment and labor law. He also worked for a D.C non-profit organization which operated an employment legal clinic for low-income workers. Mr. Pitts-Wiley received his Juris Doctor from American University’s Washington College of Law in Washington, D.C. While pursuing his law degree, he participated in the clinical program and, as a student-trial attorney, he represented local residents in the Montgomery County District Court of Maryland. He holds dual Bachelor of Arts degrees in Public Policy Studies as well as African & African-American Studies from Duke University in Durham, North Carolina. Appellant v. NIH – In April 2018, Mr. Pitts-Wiley represented a law enforcement officer under investigation for misconduct. The client was exonerated in July 2018. Complainant v. Department of the Air Force – On September 7, 2017, an EEOC Administrative Judge found the Agency was liable for discriminating against the employee on the basis of race and in reprisal for prior EEO activity for failing to renew her term appointment and subjecting her to a hostile work environment harassment. Subsequently, in August 2018, Mr. Pitts-Wiley negotiated a settlement in which the Agency agreed to retroactively reinstate her effective October 1, 2011, to a supervisory term appointment with back pay and benefits plus interest, including all within-grade step increases. The Agency will provide her with training. The term appointment is extended to no earlier than February 2022. Term appointments are often renewed on an annual basis, but the client is guaranteed an appointment for the next 3.5 years. Additionally, the Agency agreed to a six-figure lump sum payment. Complainant v. U.S. Department of the Army – The client, amongst other things, alleged that she has been denied for promotions to the supervisory level. In September 2016, Mr. Pitts-Wiley negotiated a settlement agreement for the first and only black female cemetery worker at Arlington National Cemetery in which the Agency agreed to retroactively promote her to a supervisory position effective October 2014, with full back pay and benefits, including all within-grade step increases. The Agency agreed to grant her early retirement and a six-figure lump sum payment, exclusive of attorney’s fees. The Agency also agreed to place the client on paid administrative leave for two months prior to the client’s retirement. Complainant. v. U.S. Department of the Army – In September 2017, Mr. Pitts-Wiley negotiated a settlement to correct a federal debt collection initiated in connection with a Student Loan Repayment Program. The Agency also agreed to pay a lump sum to compensate the client for injury to his credit. Appellant v. U.S. Health and Human Services — The Agency removed the client from Federal service based on allegations of misrepresentation and conduct unbecoming a law enforcement officer. In June 2018, Mr. Pitts-Wiley negotiated a clean-record retirement. The Agency agreed to pay 5-months of back pay, six-figures in damages, and all attorneys’ fees and costs, just shy of six-figures. Complainant v. DIA – Ms. Ervin was an HR Specialist who was issued a Notice of Proposed Removal for misuse of a government –issued travel charge card. In April 2016, I negotiated a reduction of the proposed penalty to a 14-day suspension. Appellant v. Department of the Interior. In March 2016, Mr. Pitts-Wiley negotiated a settlement resolving the employee’s removal from Federal service. The Agency agreed to retroactively reinstate the client, to pay for her to be relocated to a duty station of her choice, and to pay a handsome lump sum. Complainant v. Government Publishing Office – Mr. Pitts-Wiley negotiated the removal of a letter of warning and lump sum payment in a race discrimination case. Appellant v. Air Force – The client was removed from US Central Command, and Mr. Pitts-Wiley negotiated a clean-record resignation and lump sum payment. Appellant v. USDA – The client was removed from Federal service for unacceptable performance, and Mr. Pitts-Wiley negotiated a retroactive reinstatement, an increase in the rating on her last performance appraisal, and lump sum payment. Appellant v. USPS – The client was demoted from his supervisory position as an EAS-25 to a EAS-20. Mr. Pitts-Wiley litigated and negotiated settlement. The Agency eventually agreed to pay a lump sum, rescinded the demotion retroactively and agreed to pay the back pay for the period of 19 months. Complainant. v. Department of the Army – the Agency proposed the client’s removal. Mr. Pitts-Wiley negotiated a clean-record retirement along with a lump sum payment in compensatory damages and attorney’s fees and costs.